George Boole (1815-1864) was born in Lincoln and was largely self-taught, having left school before he was sixteen. First, he taught himself languages--Latin, Greek, French, German, and Italian, and then Astronomy, Optics, Mechanics, and Mathematics. By the age of 21 he was publishing original research in mathematical journals, and in 1849, despite his lack of a degree, he was appointed first Professor of Mathematics at the newly founded Queen's College Cork (now UCC). In 1854 he published his great work there, An Investigation of the Laws of Thought which laid the foundations of today's digital revolution. In 1855 Boole married Mary Everest whose uncle was the man after whom the world's highest mountain was called, and they had five remarkable daughters. Sadly, he died in 1864, at the early age of 49, having walked to college in the pouring rain. Boole's academic career has been covered in a biography by Desmond MacHale, The Life and Work of George Boole (Boole Press 1985, reprinted by Cork University Press 2014). 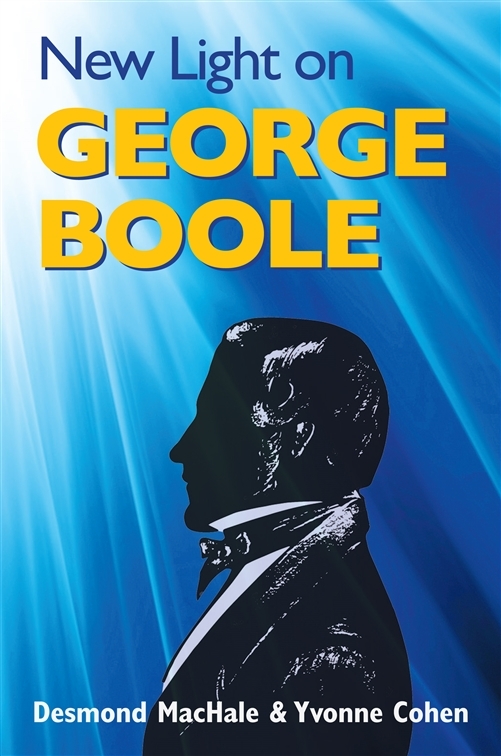 Now there is a totally new book on Boole, New Light on George Boole, detailing the human side of this great genius. It covers his family history, correspondence, love of nature, and his reactions to the devastating Irish Famine, as well as his family life and relations with his students. A highlight of the book is his meeting with Charles Babbage, who invented the Difference Engine, a primitive 19th century computer. There is interesting personal correspondence between Boole and his family and a variety of friends and mathematicians, and a fascinating account of his trip to Germany and his opinions of German society. Boole's controversial death is discussed too, did his wife inadvertently hasten his end with her crank medical cures? But by far the most controversial chapter in the book concerns the theory that Boole was the inspiration for Professor James Moriarty, the arch villain of the Sherlock Holmes stories. Convincing evidence for this theory is presented, and the other candidates are examined in detail. Desmond MacHale is Emeritus Professor of Mathematics at University College Cork, where Boole was the first professor of mathematics. Yvonne Cohen is a Mathematics and History graduate of University College Cork and is a Chartered Accountant.